Ports & Logistics Advisory (PLA) is a small advisory company registered in Málaga, Spain. Dr. P.W. de Langen started PLA in 2013, after an extensive track record in industry focused research and strategic advisory at Erasmus University Rotterdam, Eindhoven University of Technology and Port of Rotterdam Authority. PLA is active in advisory, industry-research and training & executive education in ports & logistics worldwide. PLA strongly believes in partnerships with customers. PLA aims to make high impact contributions to organisations in the port industry, by sharing experiences and key insights, inspiring decision makers and helping organisations to realise complex strategic projects. The PLA mission is: To contribute to more efficient and sustainable ports & logistics chains, by providing, inspiring and cutting-edge training, advice and analysis. To download company profile click here. PLA strongly believes in the in-house development of corporate strategies, development visions for ports, inland ports and logistics clusters, (long term) forecasts, and trend and market analysis. PLA aims to assist customers in these areas, by providing ‘lessons learned’ and ‘best practices’ from previous projects, most importantly at Port of Rotterdam Authority, but also international projects including New York/ New Jersey, Suape (Brazil) and Copenhagen Malmo Ports. In such a partnership, PLA can help customers in realizing major strategic projects, by providing inspiring and cutting-edge training, advice and analysis. 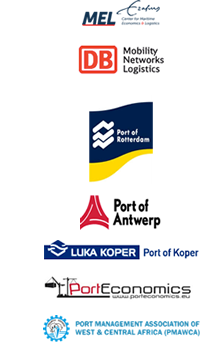 PLA is proud to work in such a partnership model with Port of Rotterdam Authority and aims to develop a few more of these partnerships. PLA also partners with other advisory firms or research institutes. In 2013 PLA has developed partnerships with RHV BV and LABTRANS (Brazil). Teach and Inspire services that have been provided include a one-week tailor made course on port concessions for port authorities in west and central Africa; a short course on trends and developments in the port industry for Port of Rotterdam; a contribution to a two-week port development course for the Indonesian port company Pelindo I; and a contribution to a successful Porteconomics Port Executive Course. Our Advise services include advise on implementing a system of port performance indicators for Brazilian ports; a second opinion of a large scale logistics park in Moerdijk (The Netherlands); and the setting up of an ambitious organisation to enhance cooperation in knowledge development between two universities, the business community and the port authority in Rotterdam. Our Analyse work include assisting an important Mediterranean port by analysing state aid decisions of the European Union, and an analysis of the potential to realise a modal shift for a large inland port in Belgium. We have also remained at the forefront of academic research with various new publications (see www.porteconomics.eu), and continued sharing insights on port development and strategy (http://www.portstrategy.com/news101/insight-and-opinion/the-analyst). Finally we have chaired and contributed to several industry conferences. Dr. Peter de Langen is the owner and principal consultant of Ports & Logistics Advisory. Peter de Langen also holds a part-time position as professor Cargo Transport & Logistics, at Eindhoven University of Technology, since 2009. From 2007 to 2013, Peter worked at Port of Rotterdam Authority (PoR), department Corporate Strategy as senior advisor, from 1997-2007, he worked at Erasmus University Rotterdam (EUR). Peter is Chairman of the Innovation Council of the Dutch Innovation Center for Barge Transport, co-director of the knowledge dissemination platform www.porteconomics.eu, co-organiser of conferences and training events and regular speaker at industry conferences on ports and shipping. At EUR, he was engaged in research, education and consultancy and obtained his PhD, with a study on port clusters in 2004. He was leader of a team of 5 researchers and led >50 projects, amongst others on cooperation between the ports of Ghent and Zeeland Seaports, on public interests in seaports (commissioned by the Dutch Ministry of Transport) and on trends and developments in the port industry (commissioned by Port of Rotterdam Authority). Peter still provides lectures at EUR’s MEL programme. At PoR, Peter was involved in various strategic renewal projects, such as the development of a port policy of the Dutch national government (project leader), the development of a ‘corporate strategic plan 2011-2015’, with goals, performance indicators and key activities to achieve those goals (project leader), and the development of long term cargo forecasts (project leader). He was also involved in various business development initiatives and provided in house courses, one on developments in the port industry and one on ‘entrepreneurial port development’. Finally, Peter de Langen contributed to various international projects at Port of Rotterdam Authority, including developing a business plan for the port of Suape (Brazil), a masterplan for ports for Brazil and a comprehensive port analysis for the Port Commerce Department of the Port Authority of New York and New Jersey. Peter continues to work with Port of Rotterdam Authority as an independent advisor. Since 2008, Peter holds a one day per week position as professor Cargo Transport & Logistics, at Eindhoven University of Technology. Over his career, he published widely, both academic articles and industry oriented articles, on such issues as port selection, port policy, and international transport & logistics chains. His work is widely read, used and cited and he is considered a though leader on port development. He regularly provides guest lectures at universities, speaks at (industry) conferences and moderates workshops and panel discussions. See for a full academic CV www.porteconomics.eu and publications. In 2013, Peter founded Ports & Logistics Advisory (PLA). PLA is active in boardroom advisory, research and executive education in ports & logistics worldwide. PLA can involve a wide range of partners in projects. Jordi Caballé is an economist with more than 12 years of experience in finance and enterprise consulting. He worked as an auditor for several years and he has in-depth understanding of tax regulations as well as business development and project execution. Jordi also has first-hand experience in supporting start-ups. He joined PLA in April 2014 and, in addition, he is working on a PhD on port concessions. From 2005 to 2009, Jordi worked as an Auditor with a consulting company based in Barcelona (Spain), later on from 2009 to 2013, he worked as a finance advisor in an international trading company, also based in Barcelona. Nowadays, Jordi is investigating green policies, port concessions, and port strategies as PhD project in Economics and Business at University of Málaga. He studied Business Administration at University Rovira i Virgili (Spain) and Economics at University of Limerick (Ireland), as well as a Master in Finance and Company Administration at University Pompeu Fabra (Spain). Now he is working on a PhD in Economics and Business at University of Malaga (Spain). Jordi Caballé has a solid expertise in complex financial projects. His expertise in Ports and Logistics was developed in PLA projects. Below, some major and recent projects are described in some more detail. PLA, working subcontractors of which Port of Rotterdam Authority, provides a one week in-depth course on concessions, for senior managers of West and Central African ports. Identifying business opportunities for the development of the port of Liege (PLA). This project is aimed at an in-depth understanding of maritime connectivity, based on detailed analysis of container shipping schedules. This research project is in-depth in better understanding of the best methods of granting concessions by Port Authorities. Ports & Logistics Advisory (PLA) is a small advisory company registered in Málaga, Spain. Dr. P. W. de Langen started PLA in 2013, after an extensive track record in industry focused research and strategic advisory at Erasmus University Rotterdam, Eindhoven University of Technology and Port of Rotterdam Authority. To download company profile click here. © Ports & Logistics Advisory, SL. All Rights Reserved.